Hello there Friends, I have two quick and very basic cards for you today that were inspired by this sketch over at CAS(E) this Sketch. This card was made from odds and ends I have saved on my desk from one past project or another. The second card was made with the negative of the first card along with more odds and ends. Do you have a place on your desk or work station, where you have bits and pieces of this and that that you can’t seem to throw away? I have these 6 clear dishes that work perfectly. I have them categorized to make finding what I need a little easier. For example: flowers and leaves, stamped sentiments, handmade stencils, border dies or punches and so on. They are overflowing at the moment, so I felt the need to see what I could do about that. 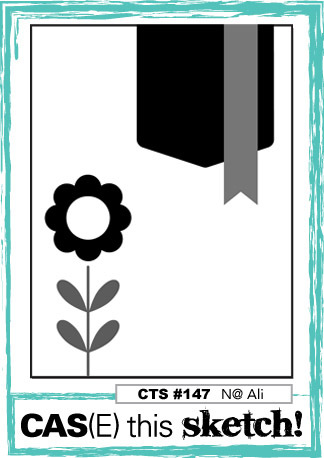 Card info: The sentiments are from Stampin Up. The flower die is MFT. Categories: Cards | Tags: Card making, Cards, rubber stamps, stamping, Stamping Up, Sympathy card | Permalink. Both cards are wonderful, Nancy, and it’s great to use the negative to make a second card. And from leftovers, too. I have that same flower die and mine is from Penny Black. Does MFT have one just like it? You made great use of your scraps on this one. Clever that you are so organized to have the 6 clear dishes on your desk to file them. I wish I had the room for that. Love both of the cards. Very nice cards Nancy. Love them both. Have a great day. Beautiful cards, Nancy! Love both color combos! Two beautiful cards. Thanks for joining us at CAS(E) This Sketch! These are beautiful! Wonderful take on the sketch!